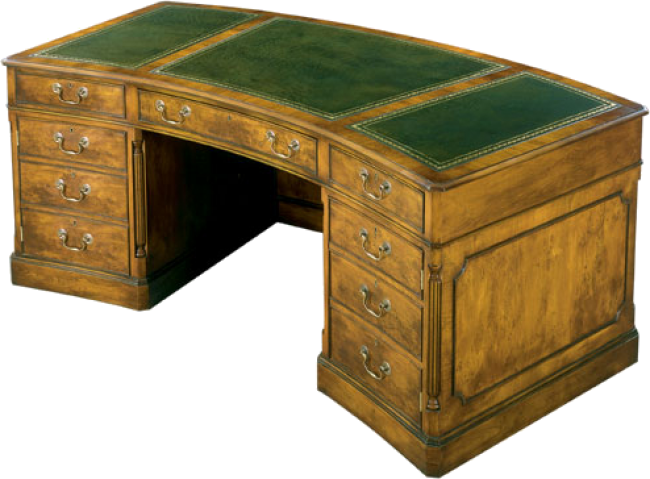 Shaped executive desk with leather writing surface. Canted, fluted columns on each corner. Modesty panel and a plinth base. The desk consists of a center drawer with fitted pencil tray, four box drawers and two letter/legal file drawers with Accu-Ride suspension. All drawers lock with antiqued solid brass hardware. Also available with wood top and without modesty panel.